AEG FSB41600Z 60CM. Silver HA1543. Fully Integrated Dishwasher. Air Dry Technology Yes. Features We Love. Annual Water Consumption 2775 Litres. Annual Energy Consumption 295 Kwh. How Well Does It Perform?. 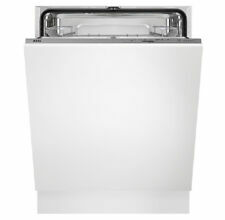 AEG FSK31600Z A Rated Built In Full Size Dishwasher with AirDry Technology. This AEG FSK31600Z is a Graded item and is supplied with a 12 Month Manufacturer Warranty. Manufacture: AEG. 13 place setting. Model F67622VI0P. Type Built In Fully Integrated Dishwasher. Due to the size, this item is collection only. GRAB A BARGAIN! Height (mm) 818. Annual Energy Consumption (kWh) 262. Water Consumption (l) 6.5. • Manufacturer: AEG. • Freestanding Dishwasher. • Colour: Stainless Steel. • 5 wash temperatures. Washer Dryers. • Energy Efficiency Class: 'A '. • Auto 3 in 1 detection. Kingdom Appliances is the latest addition to the specialist whitegoods group owned and operated by Washcraft Appliances (UK) Limited. 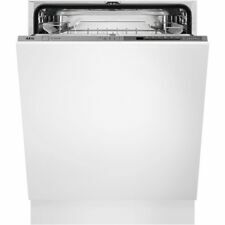 AEG FFE63700PW Full-Size Dishwasher a White. Condition is Used. Collection in person only. dishwasher AEG slimline. Condition is Used. Collection in person only. This AEG FSK53600Z is a GRADED item. Manufacture: AEG. Place setting: 13. Auto half load. Glass 45c wash. Noise level: 44dB(A). OUR BUY IT NOW PRICE IS JUST £309.99. 5 Programs: 30 min 60c quickwash. AEG FSB41600Z A Rated Built-in Dishwasher in Stainless Steel. • Manufacture: AEG. • Form: Built in. • Noise level: 47dB(A). Washer Dryers. • Rinse aid and salt level indicators. • Delay start upto 24 hours. 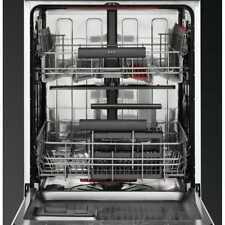 AEG Full-Size Integrated Dishwasher. Installed in 2015, hardly used as water wasn’t getting hot... probably just needs a part ... Condition is Used, good for spares and repairs. Collection in person only. AEG FAVORIT DISHWASHER. make Supersized seem small. AEG FSK73400P. Built in Slimline Dishwasher. 3 digit display. Dishwasher programs: 30 MIN 60, AutoSense 45-70, Eco, Extra Silent, Glass 45, Intensive 70, PRO ZONE. Annual water consumption, l: 2775. Energy consumption (annual): 176. AEG FSS62600P. Running at 44 dB(A), this AEG FSS62600P Integrated Dishwasher is ultra-quiet. Built In Fully Integrated Dishwasher. With a sliding hinge, you have the choice to install the appliance normally above a plinth or above a small cupboard. 1Yr Manufacturer Warranty - FREE DEL UPTO 150 MILES! Leave every glass gleaming with this white dishwasher from AEG. As it can wash up to 13 place settings at once its an ideal choice for medium-sized households. It also has an impressive A energy rating which makes it kinder to the environment as well as your utility bills. The intelligent ProClean Satellite spray arm rotates inside so water reaches every corner of the dishwasher giving each plate a really thorough clean. It even has clever Air Dry Technology which opens the door slightly at the end of the cycle - allowing fresh air to naturally dry your dishes quickly and efficiently. This AEG FFB53600ZM is an New Graded item. This item has Light scratch to the front and top of trim. Minor indentation to inside, front and side of door. Light blemishes on lid and trim of lid. Very light blemishes on side panel and on bottom of trim (unseen when fitted). AEG FSE21200P. Further benefits of the AEG FSE21200P Compact Dishwasher: -. Fully Integrated Compact Dishwasher. Fully integrated design, so can sit beneath a worktop and between kitchen units. Wash Performance Class A. This AEG FFB53600ZW is a New Graded item and is supplied with a 12 Month Manufacturer Warranty. Form: Freestanding. Manufacture: AEG. This item is covered by a 12 month manufacturers warranty. Number of place settings: 13. AEG FFB62400PW. White HA1742. AEG FFB62400PW specification. It can clean 9 place settings at once, so it’s perfect for smaller kitchen spaces. Slimline Dishwasher. Category Slimline Dishwashers. Anti Flood Devices Yes. Indentation and scratches to housing which will be unseen. Extra Quiet Dishwasher - 44 Db(A);. Capacity: 13 Place Settings;. Floor Beam To Update You On Wash Status;. Eco Energy Saving 55°C Wash;. Foldable Plate Rack;. AEG F56303W0. 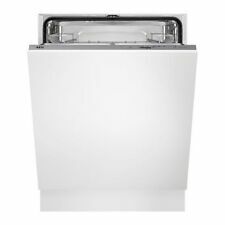 Full Size Dishwasher White HA0718. This is a Graded item. A 1 Year manufacturer's warranty is provided. Noise Level 47 dB. IMPORTANT - If collecting yourself, you should arrange a suitable vehicle. Manufacturer Model No: FSK93800P. Type: 60cm Dishwasher. Depth: 550 mm. Height: 818 mm. Width: 600 mm. Washer Dryers. Helpful links. Wine Cooler. • Manufacture: AEG. 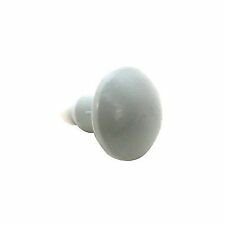 This item has light indentation to side panels which will be unseen when fitted. • Capacity: 13 place settings: Capacity is based on 'IEC' standard place settings. Kingdom Appliances is the latest addition to the specialist whitegoods group owned and operated by Washcraft Appliances (UK) Limited. Drying System: with AirDry Technology. Installation: Fully integrated. Dishwasher programs: Eco, Intensive 70°, Normal 65°, Rinse & Hold. Door Colour: None. Number of Temperatures: 3. Cord Length: 1.5. Drying Performance A Rated. Any dents or scratches will be shown in the photos. Any minor scratches or dents will not affect the operation of the machine in any way. Weight 40.21 Kg. Requires Own Furniture Door No. This is a GRADED REFURBISHED item. Handy light lets you know when the dishwasher is on. Drying Performance A Rated. Above 150 Coastal areas, Devon and Scotland etc. 150 from B7 5AF. Miles (Up To). Product No.A110062 A16 (AN). This built in dishwasher is a GRADED REFURBISHED item. Fully tested in our AEG APPROVED Test Centre. Manufacture: AEG. Place setting number: 15. Type: Built in. Number of wash programs: 8. Number of wash temperatures: 5. AEG F34300VI0 60cm Fully Integrated A Rated Electronic Dishwasher. This built in dishwasher is an New Graded item. Fully tested in our AEG APPROVED Test Centre. Indentation and scratches to housing which will be unseen when fitted. ✔ 1Yr Manufacturer Warranty ✔ FREE DEL UPTO 150 MILES! 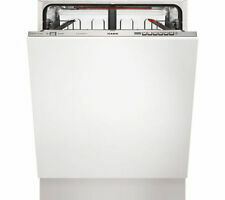 AEG FFB41600ZW Dishwasher. White HA1961. 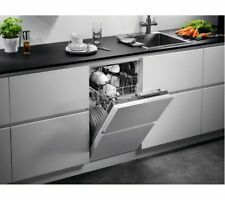 This AEG dishwasher would be an ideal addition to any contemporary kitchen. 30 minute quick wash, great if you're in a hurry. Quick Wash Yes. 13 Place Full Size Freestanding. IKEA MIRAKULOS. Fully tested in our APPROVED Test Centre and is supplied with a 1 Year Manufacturer Warranty. Konvektsionnaya Oven - hot air is distributed evenly throughout the oven, allowing you to simultaneously cook different dishes on several levels without mixing aromas. It's a full size freestanding 80800 Sensorlodgic Dishwasher. A classic AEG - all white. Loads of life left. I think it's about 4 - 5 yrs old - still working well. This is a GRADED REFURBISHED item. Manufacture: AEG. Oven capacity: 71L. Steam function. Colour: Stainless steel. Noise level; 48dB(A). Above 150 Coastal areas, Devon and Scotland etc. 150 from B7 5AF. This AEG FSK83700P is a Graded item. This item has been fully tested in our AEG APPROVED Test Centre and is supplied with a 12 Month Manufacturer Warranty. AEG FSK83700P 15 Place Full Size Fully Integrated Dishwasher. Above 150 Coastal areas, Devon and Scotland etc. 150 from B7 5AF. Miles (Up To). Product No. A110727 A6 (RA). Intensive washcycle. Half load function. The AEG FFB62400PW Slimline Dishwasher is just 45 cm wide, making it an ideal addition to compact kitchens where space is valuable. 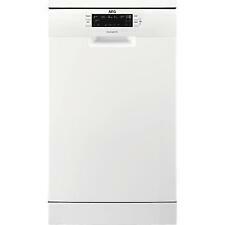 Technical specifications for AEG FFB62400PW Slimline Dishwasher - White. AEG FSS63400P. For excellent cleaning performance, this integrated dishwasher from AEG is a great choice. This opens the door slightly at the end of a wash to naturally dry all your dishes with fresh air. IKEA MIRAKULOS. Konvektsionnaya Oven - hot air is distributed evenly throughout the oven, allowing you to simultaneously cook different dishes on several levels without mixing aromas. -Large Oven with 5 levels will provide ample space for cooking various dishes. It ensures to function even if it heavily loaded. Suitable for washing anything from glasses to roasted dishes. AutoSense program. The bottom basket has foldable plate racks. Luxury hold auto balancing hinges. With Pyrolytic self-cleaning - grease and food residues are converted into ash that is easy to clean. Oven - hot air is distributed evenly throughout the oven, allowing you to simultaneously cook different dishes on several levels without mixing aromas. AEG FFE83700PM. Silver HA1341. 13 Place A Dishwasher. Childproof Lock No. Number of Wash Temperatures 5. Number of Place Settings 15 Place Setting. Quick Wash Yes. Mastery Range Yes.